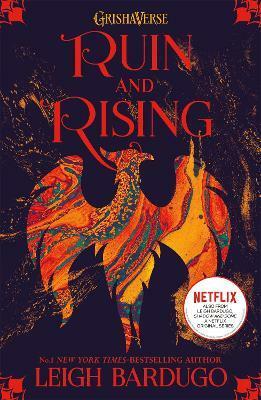 Praise for the Grisha trilogy: It is one of those series which as a YA reader is a must read. It is series which grabs hold of you by the neck and wrings every emotion out until you are a blabbering, quivering, drooling mess on your sofa. It is high fantasy at its best and I can guarantee that you will not regret picking up this book. * Escapism * Praise for Leigh Bardugo:...a strong and satisfying sequel solidifying my belief that The Grisha Trilogy will go down as one of my favourite series of all time. * Jess Hearts Books * Praise for Leigh Bardugo: Leigh Bardugo, you sure know how to involve your readers and make them an emotional wreck. Siege and Storm is an enthralling sequel that seriously ups the game and expectations of the reader. It is written so beautifully that is flows flawlessly while keeping the magic alive in the readers mind. If you want to read a fantasy series that has a truly unique world then read this series. * Read and Write and Read Some More * Praise for Leigh Bardugo: I wrote a piece here gushing about why the Grisha series is so different and so special. There are many small reasons that all come together to create the awesomeness. But there are also many more that I can't even explain. Maybe it is different because it is just magic. It has the most exquisitely constructed world, the best-written characters, the most amazing writing and storyline. And it always always always leaves me desperate for more. It always leaves me aching, foaming at the mouth, for more: right now. And that, perhaps, is why it is so special. It is magic. It is beautiful. It is perfect.